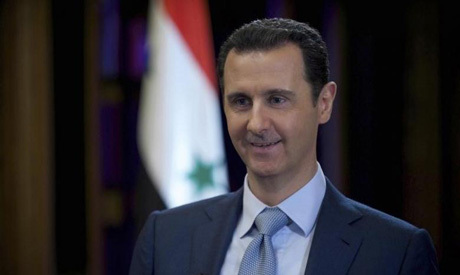 Last year wrapped up with an event that many feel will be the beginning of fundamental change that will impact Syria throughout 2019, with the start of steps to rehabilitate the regime of Syrian President Bashar Al-Assad among the Arab countries. The UAE and Bahrain reopened their embassies in Damascus and restarted flights to Syria in steps that some believe are intended to pave the way for readmitting the Syrian regime to the Arab League at the 30th Arab Summit in Tunisia in March 2019. Although Al-Bashir is the subject of a warrant issued by the International Criminal Court, he is facing serious political and economic troubles at home, and carries little real weight in the wider Arab world, his visit had key political implications since it was the first by an Arab president since the start of the Syrian Revolution in 2011. Mamluk’s visit is significant due to Egypt’s membership of the four-way alliance with Saudi Arabia, the UAE and Bahrain directed at Qatar, and Cairo may be spearheading the position of these countries towards the Syrian regime. A few days earlier, the first direct flight from Damascus to Tunis touched down after a seven-year hiatus. This was followed by statements by Jordan’s King Abdullah II on 23 December that “our relations with Syria will be restored to where they were in the past” preceded by the re-opening of the Nasib border crossing between Jordan and Syria in mid-October. Hossam Zaki, deputy secretary-general of the Arab League, told a news conference on 24 December that there could be a change regarding the Syrian regime’s membership of the League. “There are discussions among member states on this matter,” Zaki said, adding that a decision could be taken at the Arab Economic Summit in Beirut at the end of January. The Arab League suspended Syria’s membership of the regional grouping because the regime had not met its commitments to the Arab action plan for resolving the Syrian crisis or protecting Syrian civilians. It introduced political and economic sanctions against Syria and called for the withdrawal of Arab ambassadors from Damascus at the end of 2011. Some Lebanese figures close to the Syrian regime and Iran are lobbying for Al-Assad to be invited to the economic summit in Beirut, though this has been countered by resistance to normalising relations between Lebanon and the Syrian regime. Tempers are rising between the two camps, and they could lead to clashes threatening the Lebanese government. The UAE and Bahrain justified their moving closer to Al-Assad and restoring diplomatic relations with Syria by pointing to the need to offset Iranian hegemony, protect Syria from regional interference and help maintain the country’s unity and sovereignty. The Syrian opposition has rejected what it calls these “frail excuses” for re-establishing diplomatic relations with the regime, especially since the Iranian and Russian interference on behalf of Al-Assad has meant taking control of the regime’s policies and military outlook. The US and the Europeans have said that it would be “premature” to readmit Syria to the Arab League before a genuine political transitional process takes place. After his recent decision to withdraw from Syria, US President Donald Trump asked Saudi Arabia to pay “for the cost of rebuilding Syria instead of the US,” apparently rescinding his previous demand for a political transition. The Syrian regime is being promoted on several planes, and it is likely that the Arabs will lean towards restoring relations with it. Today’s individual steps could be followed by further efforts on a larger basis. The Syrian opposition says that the Syrian people’s demands for freedom, democracy and social justice should not be ignored by the Arab countries. It says that the regime has destroyed 40 per cent of Syria’s infrastructure, caused the death of one million Syrians and contributed to the destitution of ten million Syrians overseas. The regime must change before the Arab countries re-establish links with it, the opposition says, adding that it will have less incentive to do so if the Arab countries re-introduce Damascus to the Arab League.